ICO is part of blockchain cryptocurrency jargon. 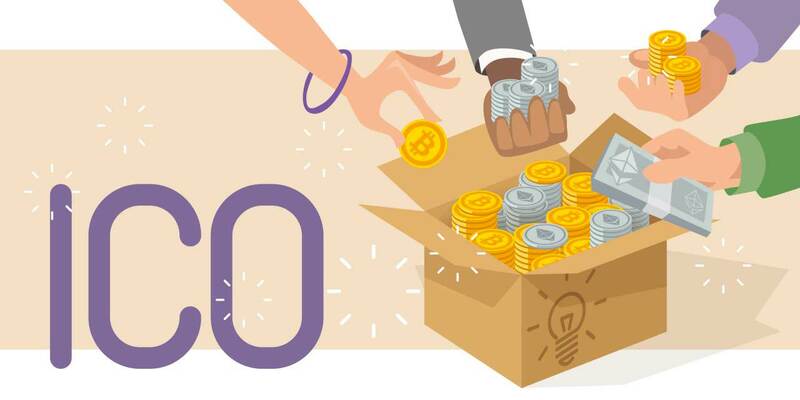 ICO stands for "initial coin offering" and is a way to raise capital using cryptocurrencies. Thanks to ICOs, entrepreneurs looking to raise funds no longer have to wait months to receive the go-ahead from an investment fund. In the ICO set-up a company uses a dedicated platform to releases tokens for purchase by potential investors. The tokens resemble the shares of a company, and these tokens allocate a portion of the profits the company might make (similar to a dividend). In practice, a company looking to raise funds will publish, then promote, their project within the cryptocurrency community. Investors interested in the company’s initiative will purchase some of the tokens, using another cryptocurrency, usually Ethereum or Bitcoin. The sectors which raised the highest levels of funding through ICOs in 2017 are IT systems and infrastructure, investment and trading, finance, data storage, payment systems, health and, finally, games. The ICO phenomenon has grown extremely rapidly. According to Coindesk research, blockchain entrepreneurs have already raised 327 million dollars from ICOs since January, compared to 295 million dollars through venture companies. And for those watching how things are evolving, this is just the beginning! "ICOs are still only in the starting blocks. Several are launched every week and the sums raised are substantial,"
So, let’s talk numbers. The « CCI 30 » index, which groups together the leading cryptocurrencies (Bitcoin, Bitcoin cash, Ethereum…) and tokens (Steem, Augur, TenX...) increased in value tenfold this year. And with a thirty-fold increase since 2016, it’s clear there is still great excitement around the phenomenon. Tokens total 7.5 billion dollars, representing 5% of the cryptocurrency market, a market which continues to be dominated by Bitcoin (56 % of total market value). The internet is where the funds for ICOs are raised, meaning anyone can join in. When the ICO campaign is launched, anyone and everyone can invest. The better the ICO is publicised, the quicker the target amount is raised. The pioneers of the project decide, before the campaign begins, how long the ICO campaign will run for and what the target amount is. These specifications cannot be modified during the campaign. When the funds requirements are met within the specified timeframe, no further purchases can be made by investors. It is, however, possible to buy tokens after the ICO has officially ended. Tokens can be re-sold by investors immediately, usually at a far higher price than initially, the investors having decided to speculate on a particular ICO. Other investors adopt a more traditional take on the ICO, buying in to support projects they think are revolutionary. On the Ethereum network, the "Token Report" estimates there are approximately 40,000 active investors on the tokens market. And it’s the volatility of the product that they are interested in, investors purchasing Ethereum or Bitcoin to enable them to get their hands on the tokens available during an ICO, which in turn benefits these two leading cryptocurrencies. Of course, ICOs also come with their cons. Indeed, investors really have very little to go on to verify the safety of their investment: how can you work out if a project is viable if it doesn’t yet exist? Moreover, unlike the classic stock exchange, there are no regulatory bodies keeping an eye on the market. Another downside is the volatility of cryptocurrency values. With so much speculation around them, their value can rocket or slump extremely quickly. Between January and October 2017, for example, the value of a Bitcoin went up five-fold, hitting over 6,000 dollars. On the other hand, both Bitcoin and Ethereum have seen their value slashed virtually overnight. In September 2017, the cryptocurrencies had 20% shaved off their value in the space of 24 hours. And the same volatility applies to ICOs, for which a drop in value can take mere seconds. In the UK, there is no legislative framework around ICOs. Financial law does not cover them since an ICO is not considered a sale of tokens; investors in fact exchange their cryptocurrencies for tokens. Moreover, cryptocurrencies are not legally recognised as currencies. On the whole, fund-raising operations currently originate in Switzerland, via companies there, and the Swiss authorities “accompany” these projects to ensure they comply with the regulations in force.